Do you enjoy the taste of sweet things? We all do, to some degree. In fact, it’s evolutionary. A sweet tooth served our hunting-and-gathering ancestors well. They knew that if they ate something sweet, it wouldn’t kill them; nothing in nature that tastes sweet is acutely poisonous. It’s ironic, because in the amounts we currently consume it, sugar is a chronic toxin and it is killing us — slowly. I’m not being overly dramatic here; I’m simply stating what scientific research, my own included, has made impossible to ignore. We are in the midst of a nationwide health crisis, with implications for both dentistry and medicine. Dentists are seeing an increase in tooth decay — despite the addition of tooth-strengthening fluoride to most municipal water supplies. Physicians like myself are seeing many more obese children — some as young as six months old! Thirty years ago, 1 child out of 20 was obese. Today, it’s 1 in 5. Thirty years ago, there were zero children in America with type 2 diabetes. Today, there are 57,000. Why is this happening? Because our food supply has changed a great deal over those decades; it now contains so much added sugar (i.e., not naturally present in our foodstuffs) that our metabolic (energy-processing) systems just can’t handle it. The food industry loads sugar — either sucrose (table sugar) or the cheap and abundant high-fructose corn syrup — into virtually everything it sells. This includes lunch meats, yogurt, peanut butter, bread, tomato sauce, you name it. These days, 77% of the 600,000 food items sold in grocery stores contain added sugar. We used to consume 4 pounds of sugar per person per year — from fruits, vegetables and, occasionally, honey; now it’s closer to 90 pounds. The most we should be consuming yearly, according to the World Health Organization, is 20 pounds. That’s 25 grams per day (about 6 teaspoons or just less than one ounce); about two-thirds of the amount in just one can of soda. And children should not exceed 4 teaspoons per day. It started in the 1970’s, when health concerns (based on strikingly incomplete research, it turned out) led to a demand for lower-fat foods. The food industry had to retool its products to meet this new demand. The problem was, taking the fat out of many processed foods caused them to taste like cardboard. To make this low-fat fare palatable, the food industry started adding more sugar. 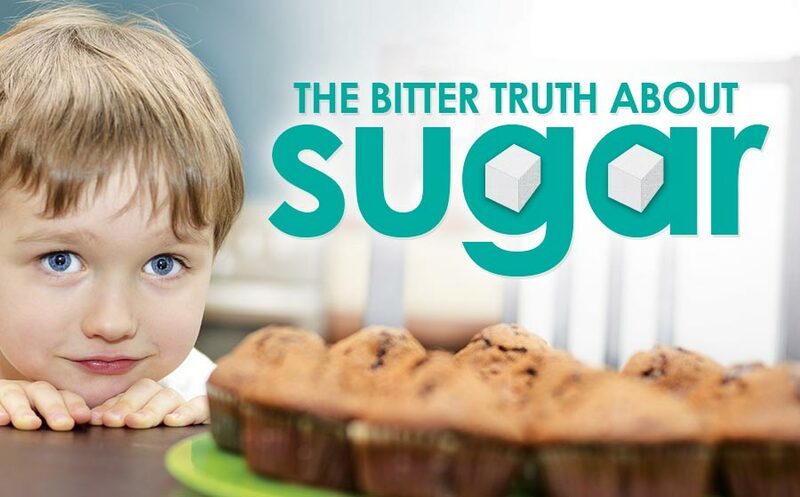 It was, and continues to be, a highly profitable move for them because sugary foods don’t just taste better to most of us, they are also weakly addictive. And consumption of sugar is way, way, up. Our drive to consume sugar increases in times of stress — how fitting that “desserts” is “stressed” spelled backwards. That’s right, we now have data to support that sugar addiction is a real phenomenon, not just a metaphor. Sugar triggers the release of the brain chemical dopamine, which regulates the brain’s reward center. Anything that activates the reward center can lead to craving, bingeing, tolerance, and withdrawal — i.e., addiction. Our drive to consume sugar increases in times of stress — how fitting that “desserts” is “stressed” spelled backwards. There’s a whole lot we know now that we didn’t know even 35 years ago, when our food supply started being saturated with added sugar. Ever since the 1990’s, research in my field of neuroendocrinology (how the brain controls hormones and vice versa) has led to the discovery of other hormones that regulate our intake of food and processing of energy — which is what sugar is basically used for. We have also learned a simple truth that flies in the face of previous erroneously held beliefs about the body’s ability to burn off excess calories; that is, a calorie is not a calorie. It used to be assumed that you could eat whatever you wanted, as long as you were active enough to burn it off. That theory works if every calorie is the same, whether it comes from carbohydrate, protein or fat — and what type of each. The problem is, your body does different things with different types of calories — even within the same category of food. Let’s take fat. Dietary fat isn’t one entity, but at least seven. For example, omega-3 fatty acids, which come from wild-caught fish and flaxseed oil, are essential nutrients that help the body build cell membranes in the brain and that also have anti-inflammatory properties. On the other hand, omega-6 fatty acids, which come from farm-raised, corn-fed meat, are pro-inflammatory and associated with heart disease. Likewise, a carbohydrate is not a carbohydrate. Glucose, also called “blood sugar” because it is the normal sugar molecule that circulates in the blood, is used as energy by every cell and organ of the body. It is readily converted into glycogen (animal starch) by the muscles and liver for easy conversion back to glucose for energy when needed, and is not usually stored as fat. Fructose, a sugar naturally found in fruits but also used as an added sugar to processed foods, always goes to the liver first. Fructose in the quantities eaten today primarily gets stored as fat; usually, that fat will go to your belly. But sometimes, it will stay in your liver, causing fatty liver disease. To round out our list of sugars, sucrose (table sugar) is a combination of fructose and glucose. Wait a minute, you may be thinking: Does this mean eating fruit is bad? Absolutely not; while fruit does contain some fructose, it also contains way more fiber, which slows down absorption, reducing rate of flow of sugar to the liver. This allows your liver to safely process all of the fructose without overwhelming it. What’s more, the fiber fraction of fruit contains lots of crucial micronutrients.